Founded in 1745, the Moravian Book Shop is the oldest bookstore in America, the oldest continuously operating bookstore in the world and home to the Moravian College student bookstore. For 274 years, booklovers near and far have looked to the Moravian Book Shop for its curated selection of books and iconic Moravian- and Bethlehem-themed gifts. In addition to the historic location on Main Street, the warm, knowledgeable Book Shop staff has always provided visitors from our community and beyond with expert advice and exceptional customer service. To learn more, read A brief history of the Moravian Book Shop: Among the oldest bookstores in the world. Downtown Bethlehem is the perfect place to visit, shop and enjoy with family and friends, in fact MSN Lifestyle named Bethlehem to their "50 Best 'Main Street' Shopping Districts in All 50 States" list. The Moravian Book Shop is located in the heart of historic Downtown Bethlehem at 428 Main Street among the beautiful downtown shops, restaurants, and across the street from the Hotel Bethlehem; just steps away from Moravian College’s Priscilla Payne Hurd (South) Campus. The Moravian College student shuttle has a routine stop right on Main Street, and parking can be found on the street or in one of the nearby parking garages on Walnut Street or North Street. Founded in 1745, the Moravian Book Shop is located in the heart of historic Bethlehem, Pennsylvania and is the oldest continuously operating bookstore in the country. The Book Shop continues to offer its iconic book section that features indie best sellers, trade books, and select books highlighting the history of Moravians, Bethlehem, Bethlehem Steel, the Lehigh Valley and Pennsylvania. In addition, the Moravian Book Shop sells and buys back student textbooks. The Book Shop stocks Moravian College apparel and gift items, reference books, stationery and art supplies, greeting cards, candy, and health and beauty aids. The inventory also includes traditional Moravian- and Bethlehem-themed gifts and College faculty- and alumni-authored books. In May 2019, the Moravian Book Shop will welcome two local businesses to our historic building on Main Street: Lost Tavern Brewing and Dave's Deli & Gelato. Lost Tavern Brewing, with its primary location on Main Street in Hellertown, will offer up to 12 beers on tap including a few guest taps from some of Pennsylvania’s top breweries. 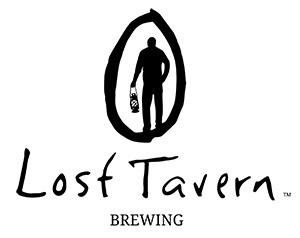 Our customers will also have the opportunity to purchase beer to go and fill up their growlers and crowlers (canned growler) with tasty Lost Tavern (and other breweries) offerings. 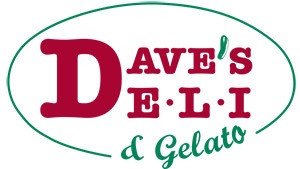 Dave's Deli & Gelato, with its primary location on Stoke Park Road in Bethlehem, will serve lunch and dinner including entrees to pair with beer options such as flatbreads, quesadillas, house-made hummus and deli sliders. After 273 years, the Moravian Church Northern Province was ready to remove themselves from this retail business and focus on supporting their 85 congregations. The Northern Province approached Moravian College in 2018 to purchase the Book Shop to continue its legacy and keep the beloved Book Shop within “the Moravian family.” It was a natural fit for America’s sixth oldest college to take over operations of the oldest book seller and ensure it serves students and the community for generations to come.